Nowadays, people use weddings as an opportunity to showcase their aesthetic and personality as a couple, creating a booming industry that has provided a lot of opportunities for freelancers and DIY-inspired businesses to thrive and make weddings even more unique for each couple. Wedding decorations, for instance, can now be more than just centerpieces and backdrops that set the mood. 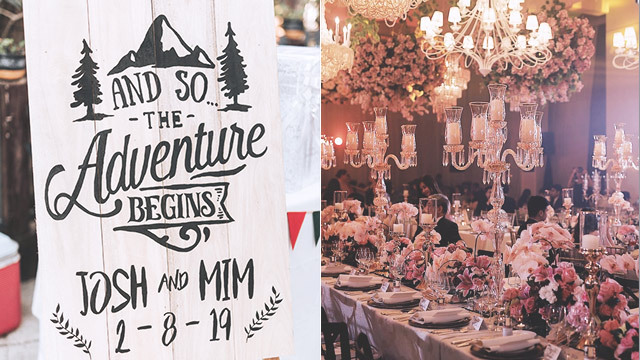 Wedding decorations and themes help tell your story as a couple, and they can also serve as anchors for your wedding planning, helping you create a memorable and cohesive event for your guests. A few factors to consider when choosing your decorations are your budget, overall theme, venue, as well as where decorations stand in your list of priorities. If you haven't yet, start listing down your non-negotiables, as well as what you can let go of—not just for your decor but for the entire wedding AND your honeymoon. This can help you and your groom decide over simple things like choosing between spending for a nice photowall or an extravagant cake, or even major decisions like whether you actually have enough time and resources to plan a destination wedding for 300 guests versus 100. Of course, your initial list isn't going to be final, plus you and your groom will still have to determine where to compromise. But don't fret, this can be where the fun begins! You may even get creative (read: practical) and try to hit two birds with one stone: How about having an indoor reception somewhere with a view so you can have a natural backdrop without spending for emergency tents? Or maybe try to create personalized centerpieces or name plates your guests can bring home as souvenirs later on (think cupcake towers or scented candles). As any planning-savvy bride would know, choosing a package (especially promos/special offers) from any supplier can either make or break your wedding. It will also help you manage your finances better. Luckily, a lot of wedding decorations can be sourced through other suppliers: your venue, caterer, or your event stylist should you choose to hire one. Try not to get overwhelmed with all the options and offer expiry dates if you're not yet sure about what you want, and ALWAYS go back to your initial list of priorities. A tip for brides? Packages that seem too good to be true usually are—don't hesitate to read reviews and check the company's background on and off social media. You can also join wedding forums, or watch wedding videos of former clients for reference. If you're opting for a destination or themed wedding venue, these locations usually already have a list of regular suppliers for decor. It's best to look at pictures of actual weddings they've had and see what little details you want to keep or have changed. Start with three categories: Add, Remove, Replace. Do you want string lights instead of lamps? More flowers and less candles? Be specific with what you want, but keep in mind that of the goal is to save on extra expenses, try to work best with what's available or accessible. Another option, especially for a bare location like a hotel ballroom or a function hall, is to book a caterer that offers event styling packages. One bride shares with Female Network that she was able to get a package of decorations with food for 150 guests from her caterer at P199,000. It also came with a choice of two freebies where she was able to choose between a wedding cake, a basic sound system, a bridal car, or photobooth. 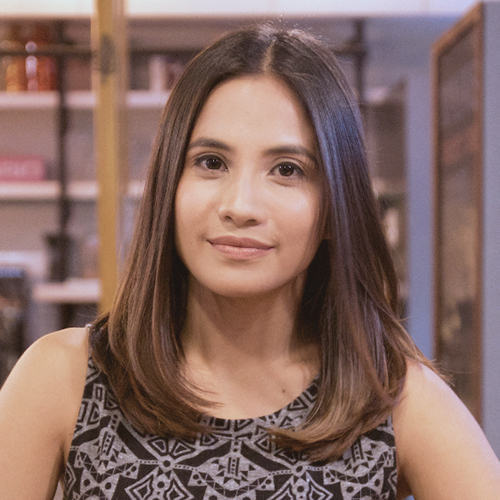 She shares that she opted for that packaged rate since based on her initial canvass, a stylist would cost her about P50,000 for a simple setup, and can go as high as P200,000 for a more elaborate, personalized one. 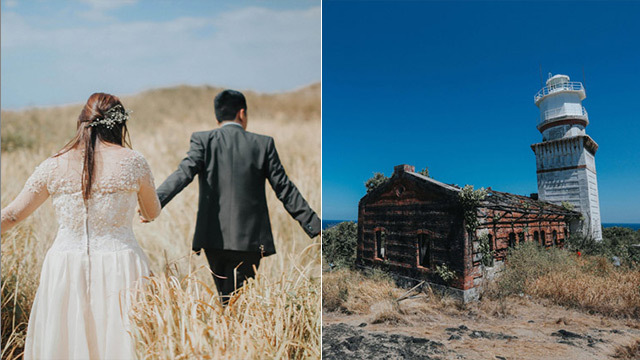 For another bride who celebrated with a beachfront reception in Batangas, she shares they spent P135,000 for styling, with flowers and decor. They also added P60,000 for the tables, chairs, and lights. The food had a separate cost that came with the venue. Another option for 'budgetarian brides' is to go the DIY route if you have time and (hopefully) a helpful entourage. One Pinay once shared that she saved roughly P100,000 to P120,000 by opting to go the eco-friendly way and using recycled or scrap materials for her decor. They also had an outdoor wedding for a more natural backdrop to their nuptials. Wedding flowers alone can get pretty expensive but one way to lessen cost is to opt for locally-sourced and in-season flowers. 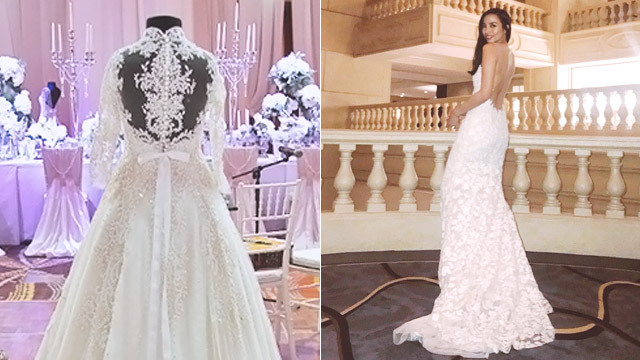 Bridal and entourage bouquets through a stylist can cost upwards of P6,000 and go up to as much as P40,000 to P60,000 for high end stylists. Flowers for the church are also more affordable than the reception, with simple packages at around P10,000 to P30,000. (Rates are inclusive usually of candle holders and the unity candle. Prices will definitely go up for big cathedrals, or elaborate set ups that involve archs). Reception flowers are usually the most expensive of the packages, with some stylists going up to over half a million pesos for big weddings (est. 300 to 500+ guests). A high end stylist's starting rate would usually be around P100,000 or more. One way to get them at a more affordable price is to wait for special offers, or simply to opt for more affordable flowers and materials. For a mid-range stylist, prices vary but will start at around P50,000. One bride gave him an 11 out of 10 rating and highly recommends Contemporary Florals for achieving the look and feel they wanted for their 'Romantic Vineyard' themed nuptials. "He was so excited for me and napaka-positive niyang kausap. Ramdam ko 'yung pag-aalaga niya sa akin at sa wedding namin." One bride says Amante Fleurs "always delivers" when it comes to design and quantity of flowers. If you're lucky to catch one of his promos, you can book him for a basic setup for as low as P15,000. You can also get the premium package that comes with a backdrop, a sophisticated couch, marquee letters, a thematic photowall, an entrance tunnel and 10 elegant cetnerpieces. At a discounted rate, you can have the whole set for about P70,000. One Girltalker who booked Zenas Pineda as their stylist says that "she was able to work with our budget and styling pegs. We like her portfolio and styling recommendations—not over-the-top (by our standards); only simple and classic." "So much love and passion! Not overpriced and yet her quality of work is superb!" said one Girltalker. Spend instead for an 'Instagrammable' spread that can also be the classy centerpiece during cocktail hour. Hire a food cart to have a midnight snack ready for the after-party. You can also order a huge, aesthetically gorgeous cake and make sure it has a prominent spot during the reception. Set up a beautiful photowall by the entrance, or a photobooth in the corner of the reception venue. Turn something functional into something decorative, like your seating chart. Got more questions? Visit our Engagements and Weddings forum on Girltalk and connect with real brides!